The prawns are one of the delights of the sea, surely among all one of the tastiest and most versatile in the kitchen. They lend themselves to a thousand recipes, are at the base of the gastronomic culture of the Mediterranean and the whole world: baked, grilled, stewed, in pasta or as a second, delicious appetizer and delicious aperitif. Who, lover of the fish, would not eat the prawns every day? Here, perhaps the only negative note of the shrimp is having to shell them: fork and knife for lovers of hygiene, handmade for the sweet tooth. To eat with all the shell for the most daring, but it’s not a good idea! But today this nuisance no longer exists in Licata, province of Agrigento, thanks to Incomar. Incomar is a company specialized in processing and distribution of fresh and frozen fish products, and in particular in the processing of our beloved shrimps. Today is Incomar that shells shrimp, eliminating this nuisance for us. How does? Simple, with a highly specialized machinery machinery, a complex and mechanical procedure, to preserve the pulp of our intact shrimp and delicately eliminate the shell, without using any product that could alter the taste and naturalness of this delicate fruit of the sea. So let’s see how the Incomar shrimp shell machine works, a cutting edge tool made in Iceland and specially designed for theshelling of pink shrimps caught in our sea. 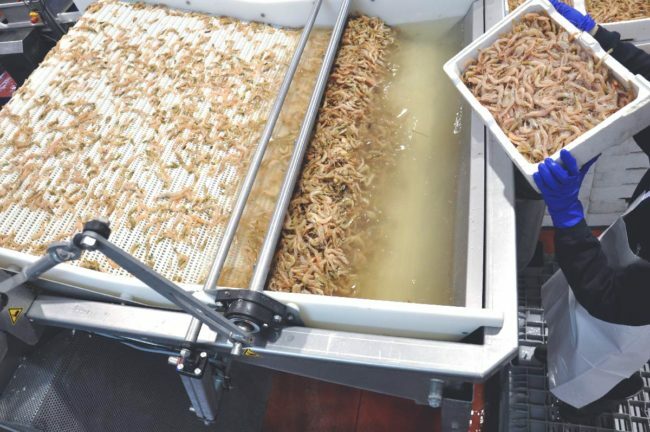 First of all, the shrimps caught are placed in a large inclined container located at the top of the machine. From here they fall gently down, in an area where we find the staggered rollers that rotate attracting shrimp. 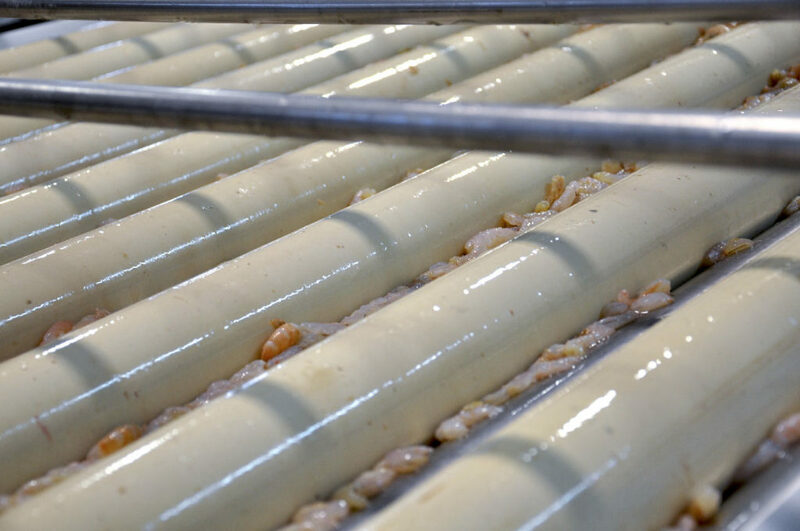 The gentle pressure of these rollers slowly begins the work of separation between shell and pulp, the shrimp slides forward, bouncing between one roller and the other, up to a channel that will slide them towards a conveyor belt. Meanwhile the shells fall into a collection tank under the rollers. 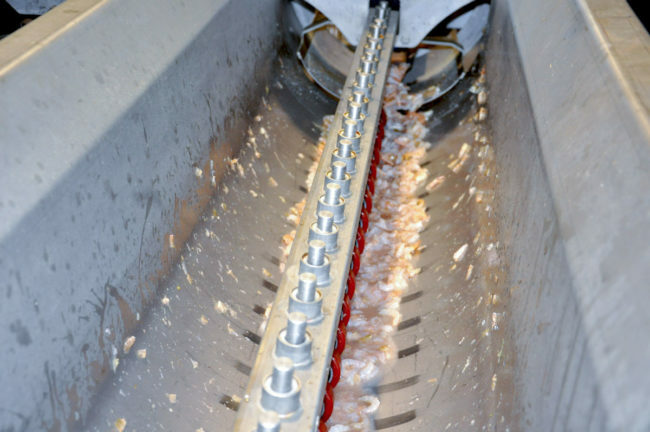 But we continue to follow the path of our shrimp: the conveyor belt accompanies them to an area of ​​the machine where there is a very powerful vacuum cleaner, useful for sucking and eliminating any remains of shell or peel. The course of our crayfish ends here: now they are perfectly clean, ready to be packaged and frozen by the reduction of temperatures in a blast chiller tunnel. From the sea to our table through the Incomar shrimp shelling machine, in the safest and most natural way possible. Incomar, the fish processing company in Licata, Agrigento, has been preparing the fish we find on our tables for many years. The immediate processing and with mechanical and natural methods allows you to taste the taste of the sea at any time. In Licata the fish is always fresh and the quality standards are very high, so Incomar knows the best processing methods and uses the most advanced machinery in the field of fish products. Incomar is a guarantee of quality. 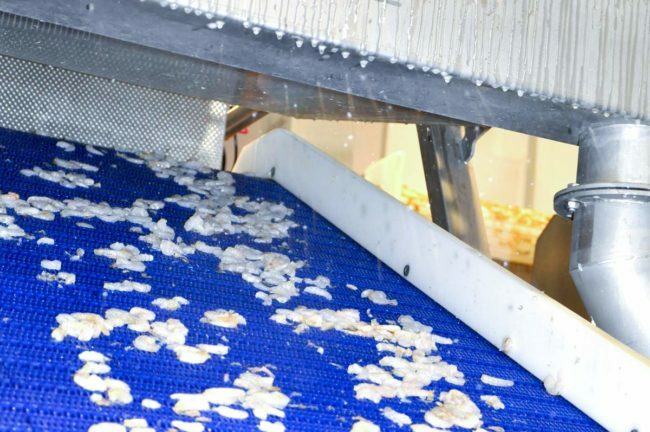 From today we will no longer have the hassle of shelling shrimps, because Incomar does it for us, in a completely mechanical and natural way. There is nothing left but to put ourselves in the kitchen and try many new recipes.